How’s this for a change of pace? Let’s skip the budget-friendly, low-cost backpacks for rucking. 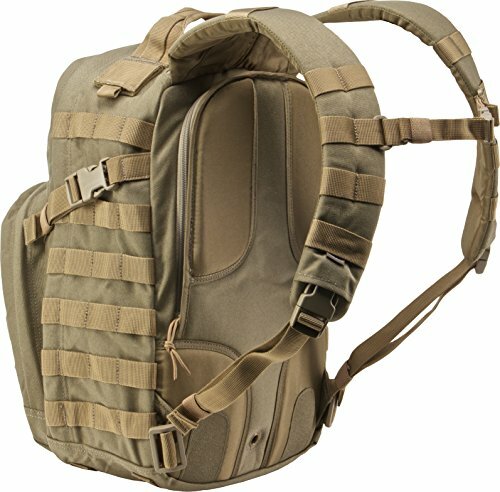 Instead, we’re going to look at the most expensive backpacks for rucking. Well, because these very expensive tactical backpacks also happen to be outrageously good. Honestly the requirements for a rucking backpack are not too intense. We want a bag with somewhere between 20L (liters) and 30L in capacity. We need some volume to carry gear – but not too much and not too little. Secondly, the bag must be reasonably tough and durable. The chances of a failure due to overloading on a ruck march is pretty small – we’re not really going to be using that much weight (between 20 lbs and 45 lbs of extra weight is typical). But, we may need to use the ruck for PT – especially if we’re on a GORUCK challenge event. Bag swings, bear crawls, overhead press, and possibly more. There’s nothing worse than gear that fails when you need it the most. Lastly, we want MOLLE nylon webbing for customizations and extensibility. That way we can add pouches and organize our gear efficiently – and exactly how we want it. Can you use a cheap backpack for a GORUCK Light, Tough, or Heavy? Yes you can. But that’s not what we’re after here. We want the Cadillac of rucksacks – one that has every feature you could imagine and durability (and price tag) to match. With those bare minimum requirements out of the way – let’s look at these expensive bags. First of all, we’ve got to talk about the GORUCK GR1 bag. The GORUCK bags are built for rucking, as well as other things. In fact, the GR1 is probably the best rucking bag available (rucking as in the sense of the GORUCK challenges, etc. not Special Forces or military training). What about the Rucker 2.0? OK – that bag is very good as well (and cheaper). But with a laptop compartment and other features like internal MOLLE the GR1 is the better bag – when money is no object. And again, we’re looking at the most expensive rucksacks – not the value choices. The GORUCK GR1 now retails for $395. Yep – this makes our criteria list. This is an expensive bag. Rugged construction – everywhere from the carry handle to the straps to the zippers. Super comfortable shoulder straps – and optional chest strap and waist belt as well. Both are recommended for rucking, by the way. Made in the USA. This makes it more expensive – and GORUCK readily admits that. We’re A-OK with this. A rabid consumer fanbase that borders on the obsessive. This is half the fun of owning GORUCK gear. And best of all – the GORUCK GR1 makes for great multi-purpose gear. Get a non-tactical color scheme (such as Black, Wolf Grey, or Steel – as shown here) and it doesn’t look out of place in the meeting room or the board room. So, when you look at it all – it is an expensive bag. But, it’s great for many things. Let’s dig deeper into GORUCK’s products. GORUCK recently released a 26L version of their GR2 bag. OK, so it’s the same capacity as the GR1 26L, what is different? The GR2 has more compartments and storage options. It’s got the MOLLE, the shoulder straps, the laptop compartment, just like the GR1. Built in field pocket – convenient zippered storage. Both an outer and inner compartment (in addition to the laptop compartment). All in, it’s got a total of 3 compartments (laptop, inner, outer) and 8 pockets. The GR2 26L costs $495. It’s $100 more than the GR1 for about the same storage capacity. But, to be fair it’s got all the great features of the GR1 and even more organization options built right in. And this has a lot of people scratching their heads. Why wouldn’t someone get the GR2 in the bigger 34L and 40L sizes? Well – maybe you don’t want a big, bulky bag – but you want the extra storage options of the GR2 model. Therefore, the GR2 26L is our GORUCK champ for most expensive rucking backpack. But wait, isn’t the GORUCK GR3 even more expensive at $545? Yes, it is. But at a cavernous 45L of capacity – it’s more than what you’d need on most ruck marches. But wait – there’s a new entrant in the field. New for 2019 is the special Heritage Edition of the GR1 rucksack. The Waxed Canvas Heritage Edition GR1 is one heck of an expensive backpack. It’s got most of the great features of the GR1 – but instead of being built from super-tough 1000D Cordura, the entire exterior is waxed canvas – just like they used in the olden days. This bag is slick – literally – thanks fo the waxed canvas but also the complete lack of exterior MOLLE. There’s still MOLLE in the interior. And the velcro patch area is replaced by a leather patch that can’t be changed. This is strictly a limited edition run – after they sell out all 300 there won’t be any more. Nice, but expensive, for sure. Let’s look at some of Mystery Ranch’s products. Assault packs are of medium capacity – and as the name suggests – the 3 Day Assault BVS is meant to store about 3 days or 72 hours worth of gear. Since it’s made in the USA it’s rated at 1,800 Cubic Inches of capacity – or just under 30L. OK, but what’s the BVS about? Bolstered Ventilation and Stability – so this pack will fit with body armor or plate carriers better than your average bag. We’ve got compartments, MOLLE, plenty of space for hydration bladders, velcro patch area, and more. The Assault BVS comes with both a chest strap and hip belt. The chest strap is good to have because it let’s you vary the load on your upper body – this helps stave off fatigue on a long march. When rucking a hip belt can also help with fatigue – by placing taking some of the load off your upper bak and putting it on your hips. Perhaps more importantly for rucking, it also helps keep the bag in place when doing vigorous (or inverted) PT exercises. Think bear crawls or jumping jacks – as just two examples. Internal frame sheet, unique 3-ZIP design, and made with 500D Cordura and YKK zippers – this bag has all the features we’d want for rucking. An expensive backpack like this has lots of “special features” – for example, the YKK zippers are urethane coated and IR compliant. That’s the kind of stuff you aren’t going to find in a cheap backpack. 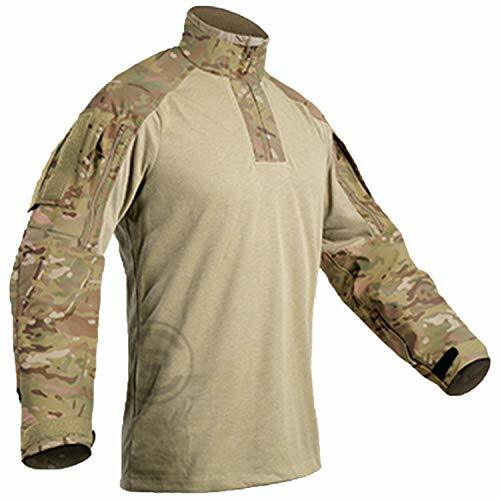 Available in Coyote (brown/tan) or MultiCam colors it looks the part as well. Like GORUCK, Mystery Ranch is known for their well thought out, well designed products. Did we mention this bag is made in the USA also? It is Berry Compliant – this pack is designed, sourced, and built entirely in the USA. The price of the Mystery Ranch 3 Day Assault BVS is $385 (and $415 in MultiCam). And it’s worth every penny – because it’s not a cheap bag. On a side note, with the “BVS” System and the mesh back on this pack it looks like it would breathe better than the GORUCK bags. 1000D Cordura is pretty much “rainproof” – but as a consequence means it doesn’t breathe either. Mystery Ranch has a slightly bigger bag called the Komodo Dragon. It’s 2,288 CI of storage or 37L – so it’s outside our size criteria for this simple comparison. But, you could ruck with it – no problem. Why Does MultiCam Pattern Cost More? You might be wondering why the MultiCam colors often cost more than plain colors. MultiCam is the invention and property of Crye Precision. The patterns and materials are therefore proprietary and licensed to gear manufacturers. GORUCK and Mystery Ranch aren’t the only purveyors of premium tactical packs. Triple Aught Design (TAD) is also renowned for their innovative designs, great function, quality, and toughness. And, for this round-up we’ll look at their FAST Pack EDC backpack. It’s a 2,000 CI (32L) bag. Hold up – we said the limit for what we’re looking at today is 30L. But rules are meant to be broken. Truth be told, a 32L bag is not too huge for rucking. And this bag is really nice – and expensive. First of all, let’s take a moment to take in the sheer beauty of this pack. This bag is just plain good looking. As a sidenote – I’d love to see this bag in MultiCam Alpine. TAD, I hope you are listening. OK, so it looks good – but has tons of function too. Made with 1000D Cordura, YKK Zippers with paracord pulls, and it has an internal HDPE Frame Sheet. It’s also got Hypalon, EZAVOTE, DRI-LEX, And Invista. Boy, this is going to be expensive! The Triple Aught Design FAST Pack EDC clocks in at $340 – $390 – depending on the color. And just in case you’ve still got money left – there’s all sorts of cool add-ons you can get. We’d add the FAST Transporter Tail ($22 – $25). This is a “versatile storage and compression platform” for odd shaped or long items. It looks a lot like the “Shove it” feature of the 5.11 Rush bags. We’d also add the MOLLE compatible OP1 (Organizer Pouch – $70 – $75) and the GPP1 Pouch as well ($55). The CP1 Control Panel is a cool 6 x 6 MOLLE Webbing organizer with zippered pockets ($50). Gotta have that. You can also add the Angel Armor Ally One TAD Edition to the CP1 for an additional $135. We’re now north of $600 total. But perhaps more importantly the Angel Armor is a ballistic armor panel that provides protection in excess of NIJ Level IIIA standards for multiple handgun round impacts. It’s clear this is serious gear – for serious professionals. This is yet another premium bag. It costs a lot, but will last you a lifetime. The FAST Pack Litespeed is less expensive, but has less capacity. Otherwise it’s got most of those great features. Ok, now that you went high-roller on your bag option, why not save some coin on budget ruck weights? Weight is weight – and these budget alternatives will get the job done, in a form factor that doesn’t waste space, but let’s you get the training load in that you need. There you go – the most expensive rucking backpack choices we could find. But, they are really, really nice. Product photos used in this article are property of the manufacturers, and provided by the manufacturers. We are a GORUCK affiliate. If you order GORUCK gear via the links in this article we will receive a small fee, with no increased cost for you. Similarly we are also a Mystery Ranch affiliate. We are not a TAD Affiliate – because there is no such thing. But seriously, their gear (as well as that of GORUCK and Mystery Ranch, is excellent.